During the 1960s, Italaria was searching for a replacement of their intra-European Constellations who were getting pretty old. In 1967 the answer came from a Dutch aircraft manufacturer called Fokker. They proposed the F28 and they won the contract. 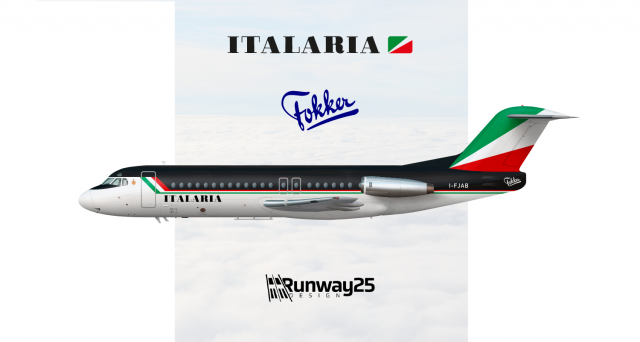 Italaria thought this would be a good time to update their livery and this became the result. the first two out of 20 examples were painted in the old livery. This is the NEW livery. I like everything but the font. I think it looks better in this application. A coincidence perhaps, considering I witnessed him make it over Discord Screenshare and not once did he look at or reference the image.